Looking for a simple solution to temperature control? Ductless mini- and multi-split systems are wonderfully compact, quiet, versatile options which require no major upheaval, renovation, or expense for installation. Most often, Jarvis Heat & Air, LLC has your new ductless air conditioner or heat pump up and running in a single visit. Targeting a single or multiple rooms, ductless equipment suits any decor and handles nearly any demand. Program the system to suit your schedule, enjoy evenly distributed temperature, quickly heat up or cool down the room, and create a cleaner, healthier, more comfortable space. It’s simple when you rely on Jarvis Heat & Air, LLC. With little more than a three-inch hole in an exterior wall, we provide perfect year round comfort in Gainesville, FL and surrounding areas. Call Jarvis Heat & Air, LLC for ductless heating & cooling options to suit your needs! 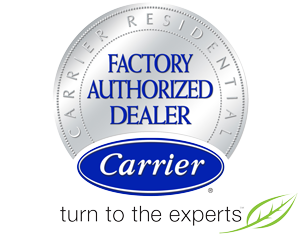 As a Carrier Factory Authorized Dealer, Jarvis Heat & Air, LLC offers a rewarding selection of ductless systems to meet any challenge. Through a range of rewarding features, we provide customized control over your indoor climate, remote access, inverter technology, unmatched efficiency, and multi-stage air filtration. Our factory trained technicians are qualified in ductless HVAC installation, upgrades, maintenance, and repair, and remain on call 24/7 throughout Gainesville, FL.